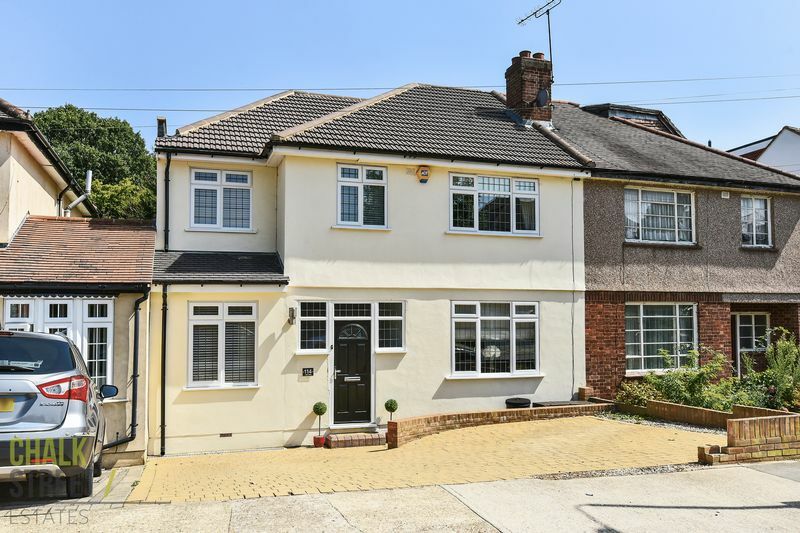 Situated along the sought after Lake Rise backing Raphael Park, within a mile of Gidea Park Crossrail station, is this extended, well presented four/five bedroom semi-detached family home. Offering modern, open plan living accommodation comprising a full width kitchen/diner to the rear overlooking the sizeable rear garden with a further two reception rooms. Upstairs are four bedrooms and the family bathroom with the master bedroom benefiting from a walk in wardrobe and en-suite shower room. Upon entering the extra wide hallway, the good sized living room is located towards the front of the property to one side while on the other is a second reception room currently used as a hair salon. This room could easily be used as a fifth bedroom as it benefits from its own cloakroom or could be used as a study if required. Towards the rear of the property is the full width, open-plan kitchen/dining room, the kitchen area is finished to a high standard with a range of fitted appliances and above and below counter storage. Additionally in the dining area is a fitted seating area that overlooks the decked terrace are and rear garden. Direct access is available to the utility room from the kitchen. Upstairs, the large landing is split to provide access to the four bedrooms being made up of two single and two double rooms. The master bedroom enjoys access to it's own en-suite shower room and dressing room. Additionally to the first floor is the well proportioned family bathroom. 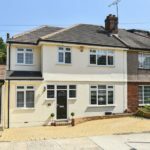 Externally the property enjoys a private rear garden backing Raphael Park, commenting with a large decked terrace with steps down to the lawn area which extends back in the region of 65ft. To the front is off street parking with space for two cars comfortably.